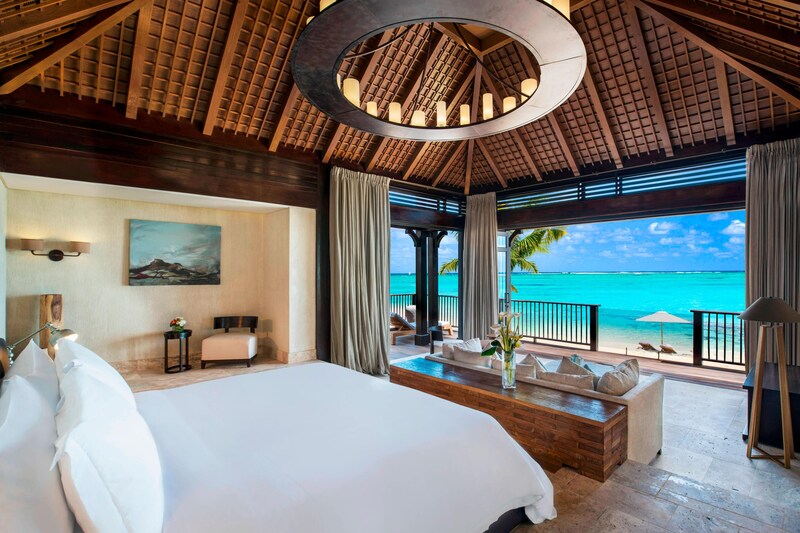 An elegant, yet inviting island ambiance permeates the 172 exquisite guest rooms and suites at The St. Regis Mauritius Resort. Situated just steps from the shore in colonial-style buildings, each features a private balcony or terrace, some with ocean views. 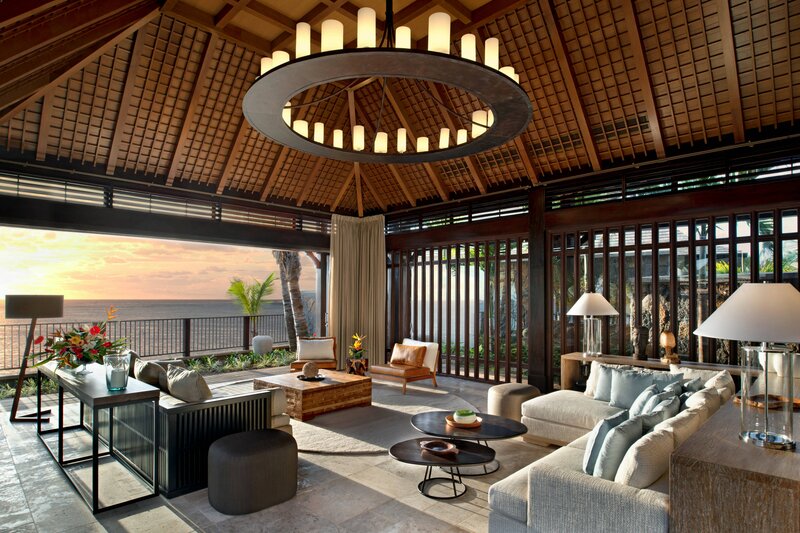 Indoors, locally-influenced, contemporary décor and natural hues welcome guests, as air conditioning and ceiling fans keep them comfortable. State-of-the-art technology—a 42-inch LED TV with a DVD player, iPod connection panel, and complimentary Wi-Fi—offers entertainment, while a marble-top mini bar with coffee and tea maker provides the refreshments. A custom, handcrafted wooden bed frame topped with a signature St. Regis bed wrapped in crisp, white 300-thread-count linens sets the scene for an unparalleled night’s sleep, which is elevated by the spacious bathroom featuring a standalone oval bathtub and separate walk-in rainshower accompanied by premier Remède bath amenities, plush bathrobes, and slippers. 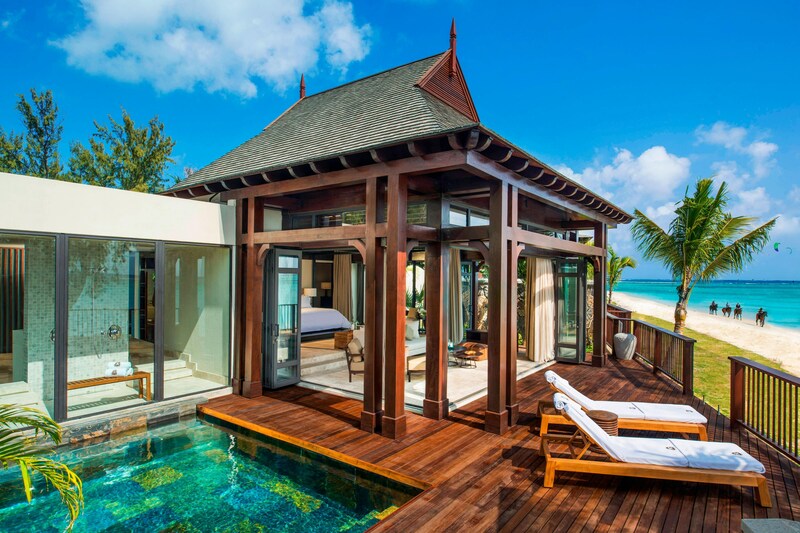 The St. Regis Villa epitomizes the St. Regis commitment to refined luxury and bespoke attention.